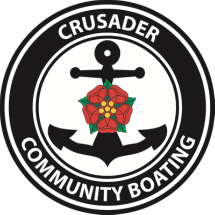 ​Crusader Community Boating is extremely grateful to the following organisations for their financial support. Thanks to the NCF for its grant through the First for Wellbeing Fund. Thanks to Northampton Borough Council and East Northants Council for grants received through their Councillor Empowerment Funds. We are grateful to the PCC and congregation of St Peter's Church, Weston Favell, Northampton for inviting us to host one of their Lent Lunches to raise funds for our charity. Thanks to the owners, management and fellow boaters of Blisworth Marina for their ongoing support and goodwill. Many thanks to Forterra for their donation. We are also grateful to our Patron, David Laing, and the David Laing Foundation for their continuing support.